Horsemanship at its finest. 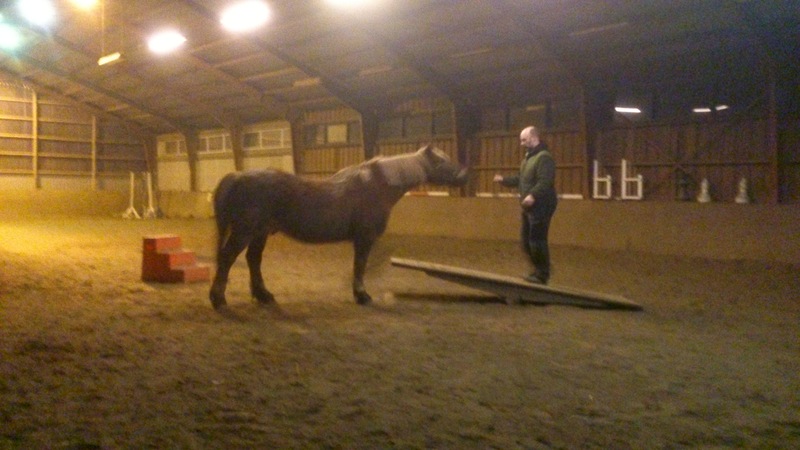 Horse certainly has him trained – the idea is to get the horse on the seesaw, not the horseman. What is horsemanship? Almost every equestrian will have their own answer to that. Dictionary.com defines it as “the art, ability, skill, or manner of a horseman”, which really doesn’t make one a whole lot wiser. A horseman is somebody who works with horses, and makes it look good — and who makes the horses feel good about what they are doing. I’m no expert trainer or clinician. 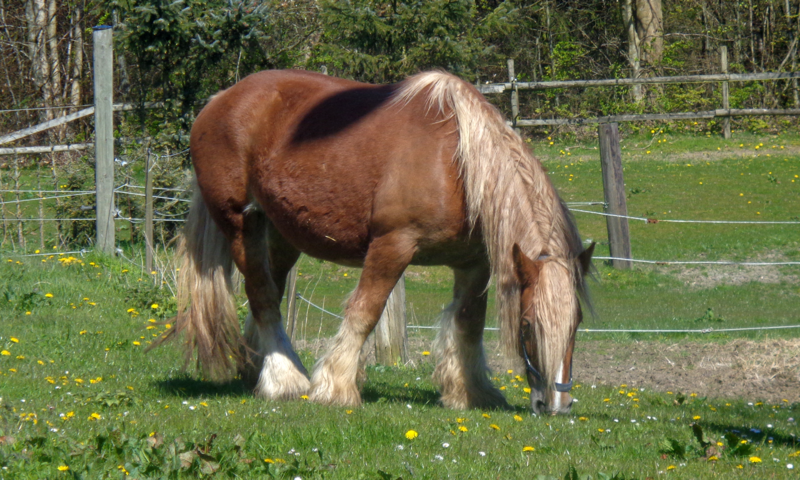 I’m just an overweight housewife with an old draft horse and too much time on my hands, time that I spend a fair bit of following online debates about horsemanship and equestrian affairs in general. I don’t follow the high level sports; I’m not really interested in extremes and I don’t think that the high level riders and caretakers emphasize horse well-being nearly enough. In fact, a fair bit of the material that ends up circulated from higher level contests tends to get shipped around animal welfare groups, and that’s not a good thing. To me, horsemanship is friendship. It is wanting to be where my horse wants to be, and my horse wanting to be where I am. It is expressed at its finest when I arrive at the barn and my horse leaves the little herd to trot over to the fence, ears and tail up, spring in his step, happy to see me. It does not matter all that much what we’re going to do on a particular day. What matters is that we are doing it together as partners, equals, and friends. I don’t win competitions and I don’t have a wall full of plaques and diplomas. I just have a very good friend who happens to have four feet. Previous PostPrevious Burrito Achievement Unlocked! Next PostNext It Ain’t SimCity — Fortunately!